This item has sold out and is currently made to order. Please complete the Custom Quote Request to discuss styling options. This casual beauty has more room than you may ever need. 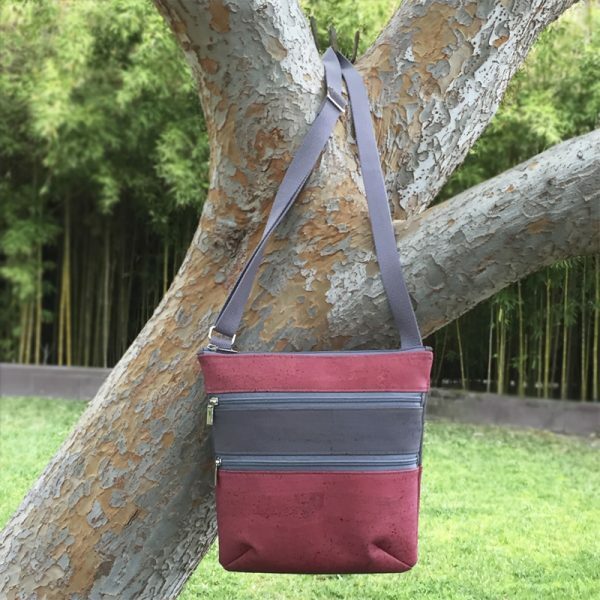 This vegan cross body tote will surely carry most of your world – perhaps all but the kitchen sink. Sporting a casual and relaxed weekend vibe, it’s great for holding your day-to-day essentials in a sleek, lightweight, compact package. The slim profile lays flat against your body at hip level when worn cross-body style. Is your hip at a different level than mine? Not a problem. The Chardonnay cross strap bag has a long, adjustable cotton-webbing strap that is meant to be worn, as the name suggests, over your head as well as the shoulder, across your body. This allows your hands to be free to carry your child or shopping bags with ease. Since Studio Auckland’s cross body handbag has an adjustable strap, a second alternative is to shorten it and wear this lovely over the shoulder. The outside sports a top zipper, keeping your contents secure and safe. 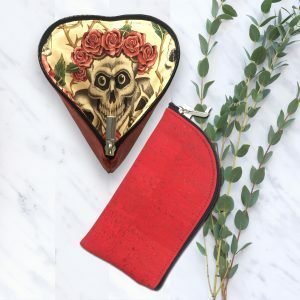 You will stay completely organized when you use the two outer zipped pockets for frequently used items, perhaps your Merlot Mini Wallet, Zinfandel Coin Pouch, or Chiani Eyeglass Case. And let’s not forget your cell phone. These two pockets are over four-inches deep so your phone will be protected and safe. The only question will be…how will you be able to choose which works best for you? The inside is lined using the finest coordinating cotton fabric where you will find, yet one more, divided inside pocket. Each divide is about 4-1/2 inches wide. A natural, eco-friendly cross body bag, Studio Auckland’s Chardonnay Three-Zip Cross Body Tote is fashioned from the bark of the cork oak tree. Vegans and non-vegans, alike, enjoy the loveliness of cork. Cork is soft to the touch, as well as stain, mold and mildew resistant. Being a natural, handmade product, this item will show variations in color and no two will be exactly the same.